Some friends of ours were contemplating a visit to Nashville in the near future. They wanted to stay somewhere close to downtown and take in all the sights & sounds that Music City has to offer — over the course of 2 or 3 days. They would be flying in and taking a cab ride to the hotel. Therefore, they would not have a car at their disposal. They asked for some advice since we’ve lived here for awhile and love the nightlife. They were interested in staying at either the Sheraton hotel or the Renaissance hotel in downtown Nashville. Both of these hotels are often highly recommended due to their convenient location downtown. They are both quite nice. The Hilton should be about the same price and is a little more centrally located. Now, mind you… the Hilton is about 1 block from the Sheraton. But at the Hilton you can stumble right off Broadway and into your room. The Hilton is also right next to the Bridgestone Arena (concerts, hockey, etc) and about 20 steps from the top end of the entertainment district that runs from Broadway and 8th Avenue (where the Hilton is) down to Broadway and 2nd Avenue. The Country Music Hall of Fame basically sits in the parking lot of the Hilton hotel. 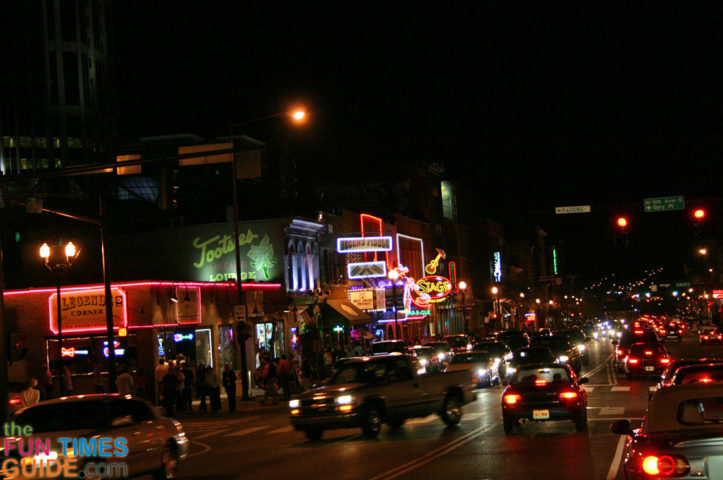 You’ve got a handful of clubs along 2nd Avenue like the Wildhorse Saloon, BB Kings, Graham Central Station and some pretty cool honky tonks on upper Broadway. I Love Being A Tourist In Nashville! 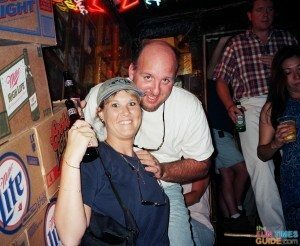 There’s another Blues club called the Bourbon Street Blues & Boogie Bar that we like a lot too. It’s just off Broadway, in Printer’s Alley. Most everything downtown has “no cover” — except for Bourbon Street Blues & Boogie Bar, Wildhorse Saloon (sometimes) and BB Kings (if you don’t get there early and eat dinner). Try the Tin Roof on Demonbreun (near Music Row). You never know who you’ll see there! Also, hot spots like 3rd & Lindsley, Mercy Lounge, and the Listening Room Cafe — all offer a wide variety of sounds and styles. While there are plenty more fun (and different) things to do in Nashville, our recommendations are based on the type of activities we enjoy and we knew these guys would too.